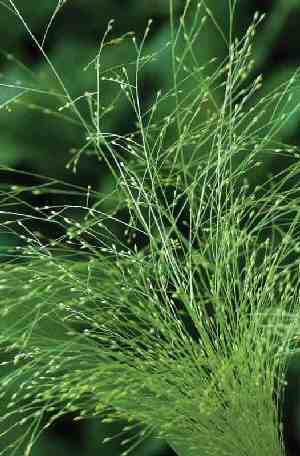 Agrostis Nebulosa is an upright annual grass native to Spain and portugal. It is a big favourite amongst the florists that I know for its seed heads….spikelet flowers which give it an airy look. Now your asking… I have searched my books and the interweb for info on this elegant little number but I couldn’t find a great deal of useful information. However from what I can glean, one needs to sow seeds under cover in March and April and then plant out to a spacing of 20cm. It should flower from 10-12 weeks after sowing. I would make an intelligent guess that it would need a well drained soil in lots of sun…being that it does so well in the company of our Spanish cousins. Please let us know if you’ve grown it. We shall be giving it a go…starting it off in the remains of our greenhouse in Early March. I didn’t stratify mine and if they come from Spain it is unlikely they will get much chilling over winter (perhaps in the north) I found them very easy to germinate and grow. I’ve grown this grass for four years now, initially starting it from seed sown in gritty compost in the greenhouse. It likes full sun and very sharp drainage, and if it’s happy it self-seeds quite prolifically. It now appears each spring of its own accord, and those babies which I find growing in other plant pots I pot up and sell when we open the garden in the summer. It’s a gorgeous grass, short enough to work well with smaller perennials such as Sanguisorba ‘Tanna’, Sedum ‘Red Cauli’ and Origanum ‘Herrenhausen’, and it adds an ethereal quality to the border. I bought a packet of agrostis nebulosa from our local Fleet Farm in Dickinson, ND this spring, and put the whole packet in a 5″ square plastic starter pack with seed starting soil, (pretty fine). It came up quite thick, and I just took little groups of the grass and stuck them in my huge garden, planted 12 little groups. We have had tons of rain this year, and the grass has done quite nicely, and is beautiful when the sun shines through it in early morning or evening. I think we are going to try it again next year, growing a little more. We thought it would look good with Asiatic lilies. I grew some in pots last year, they looked lovely, like electric strands of hair , but didn’t try them for cutting. Put the pots in the greenhouse but they haven’t survived-I didn’t realise they were annuals so that explains it, some grasses are and some aren’t, not sure which is what. My aeonium bit the dust too. On the bright side I just bought 4 ht roses for £5 in Lidl-no names just colours, and got a bird bath and some paving slabs on my local freecycle site to make my cutting patch a little more ornamental!